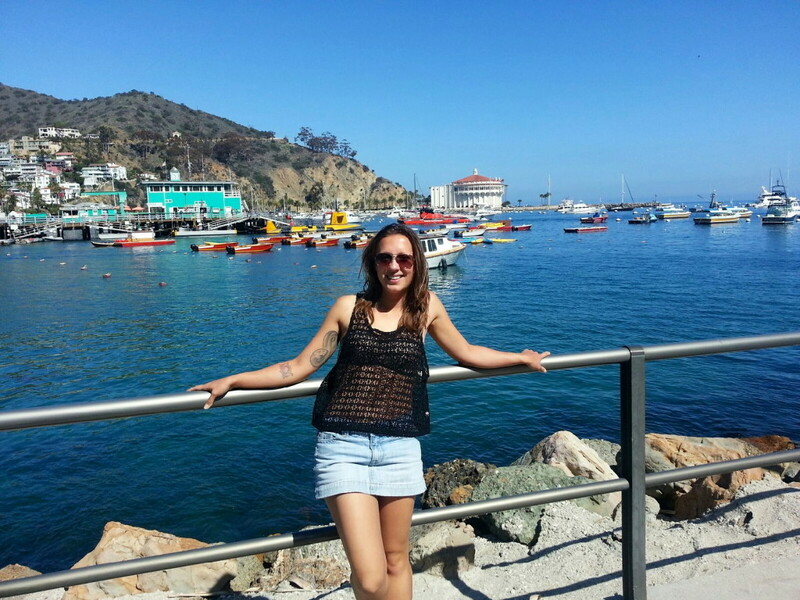 Weekend trip to Catalina Island. You don’t have to go far to explore somewhere new! I keep hearing this.. travel is expensive. But it usually seems that its the people who have yet to travel, making this statement. From my experiences, everything is a choice. You can make travel as expensive or cheap as you want, its all your decision. For example, a year ago my girlfriend and I decided we wanted to take a long weekend cruise (4 days, 3 nights) to the Bahamas for her birthday. Since we were living in California at the time, we needed to fly to Florida and depart form there. We were able to find extremely cheap redeye tickets to Miami, a room with a window on the ship, and with all the expenditures, I spent $700 in total, on flight, lodging on the cruise ship (food is always included on cruises), spending money for souvenirs and alcohol. Maybe some might say this was expensive, but it didn’t seem so outrageous to me. Flight, food, cruise and swimming in foreign waters! Flash forward a few months later, I wanted to spoil my boyfriend for his birthday and take him on a cruise. I decided to really splurge, and got us a suite with a balcony, same deal, 4 days, 3 nights, but to Mexico this time, so no need to buy a flight. The final cost – more than double what I paid the first time. Lesson? Everything is a choice, you decide what you can and cannot spend, and you make it happen within those realms of possibility. Meaning if you want to go the cheap route all you have to do is some research. Anything is truly possible! Only you can tell yourself no. Most clichés are right; where there is a will there is always a way. So what does this mean for you? That you too can make it happen for much less than you think.. here are some of my suggestions for the key parts of almost any vacation. Cheap lodging… aka, hostels, airbnb.com or couchsurfing.com. Though I have never used couchsurfing (CS) myself, my boyfriend has been a host in the past, meaning he has allowed strangers in his home FOR FREE. There is a large community out there of strangers wanting to meet strangers from around the world and show them their city plus a great time. It’s a community with the mindset of help, love, and goodwill. So if you want to go the free (maybe you can help around the house with chores) route, this is a great option to look into, and using their website is completely free, just make an account! Some of Karim’s past guests would cook him dinner to pay back for the free lodging, or even made him jam! If you have never used couch surfing, or want some basic tips and hints to make the best out of your experience, here is a great article I found by another travel blogger, ‘Miss Tourist’ Yulia. I like using AirBnB, especially in comparison to hotels or hostels in Europe, sometimes it can be just as cheap but much cleaner, more spacious and just overall, a nicer experience (obviously a biased statement, but hey, this is my blog 😉 ). A place I stayed in Rome, had breakfast included (which was available all day), private bathroom, personal mini fridge stocked with juice and yogurt, and could be just $23 a night. I think it was well worth it, because some hostels will be $15 a night, charge per person, so if you travel with your significant other it might not be cheaper for you to stay in hostels and you don’t have as much privacy or a private bathroom. Some hostels do offer community nights, such as free dinners and socials, which is a great way to meet people from other parts of the world, share stories and maybe make lifelong friends! Its all about the kind of adventure you are looking for and how much privacy you want, and are willing to pay for. Do your research, ask your friends! Flights– most expensive part of your travels and an important aspect, if you want to go to Europe and you’re in America, most likely flight is the best option, and there are tricks to beating the system, everything from using mileage points to get free travel, to booking through unheard of airline companies that have a hub (homebase) from either the city you are leaving, or entering. By booking through these new to you airlines, you can save hundreds of dollars on airfare. Other things to note: you can open a new credit card (if you qualify, which can give you thousands of points to use for future trips). Heres an interesting article of a world traveler doing just that. I love using Kayak because I can set a price alert, to let me know of daily or weekly price changes for my flight. One time I was flying to NYC, had booked my trip and the very next day my flight alert showed that it was $75 cheaper! Because it was still within 24hours of booking, I was able to cancel my original booking, rebook it for the cheaper price and save some moneys. Love this! Also, be flexible with dates and just take your time to search, this will help you. For my trip to Italy, I booked my flight arriving in Rome but flying out of Bologna, which saved me hundreds of dollars. On Kayak.com you can also use the Explore feature, part of the square buttons on the top right part of the screen. This shows you flight costs from your city to destinations all over the world, great tool when looking to fly into one place and flying out of another. For example, I recently found tickets for this fall flying into Amsterdam, and also flying out for less than $700, which was cheaper than what I had booked the previous year to Italy. Its all about shopping around, and not getting discouraged. Be patient, if you keep on it, you will find a great deal, I guarantee this, you just have to put in the man power and not allow yourself to get discouraged easily. Good things take time, Rome wasn’t built in a day. Note: If you want to learn more about ways to make your flight as cheap as possible, this site explains it well. Food: this one is a big deal for me. I like to eat and I like to eat good. That means living off Cup of Noodles is not the way I plan to eat on my vacations or even at home. But that doesn’t mean you can’t eat cheap and still healthy. Eating fruits and vegetables that you buy in a supermarket or better yet at the farmers market will be some of your cheapest and healthiest meals, and by purchasing foods from the grocery store, you will save enough to be able to splurge on the fancy meals once in a while too. It’s all about being prepared. Bring some of your favorite bars or nuts on your trip. Don’t be hangry and splurge on something not worth it. Wait it out, be patient and well prepared, you will save money and spend it when it really matters. Fun: the last part of your trip- what you will do, and the things you will buy. Many of the things I enjoy are totally free. Like walking around old, historic neighborhoods just looking at the buildings and taking it all in. If you travel and still have a student ID card, bring it with you! Especially in Europe, there are often student prices, much cheaper than the adult rate. After my last trip I learned my lesson. I also recently read an article about the multitude of businesses that offer student discounts in the US but do little to advertise. Most stores offer it, just ask and be ready to present your ID. Here is an article I found that lists over 100 companies offering student discounts, some will ask for you to verify through your school email, so unless you are a current student it wont work, but most just want to see the ID. Lastly, just do it! The thing I keep hearing from people is how much they want to travel but how they can’t afford it or are unable to take the time off. But reality is, many times they haven’t even tried! If you work for a company that respects you, they will understand your desire to see the world and learn something from it, and if you ask, and provide enough notice in advance, they will not mind letting you go for a week, or even three (mine did!). Plus, many of my friends go out every weekend, drop lots on drinks and other party favors or spend obscene amounts of money on concerts and festivals. Forgoing one crazy weekend at Paradiso could allow you to travel to a foreign country for a week, leaving you with some of the most incredible memories and an inspiration to keep traveling and feeding that wanderlust bug inside of you! The very least, you will learn something amazing about yourself that you had no idea. So in conclusion, what are you waiting for?! Life is way too short. If you have a dream, start researching it now. Look at kayak, Couchsurfing or just a weekend getaway outside of your home town. The more you put yourself out there and go outside of your comfort zone, the more you will learn and grow, and continue to get the courage to go on that next adventure, wherever it may be. I will leave you with this TED Talk about Tomislav Perko, and how he was able to afford traveling around Europe, for cheap, in a fun and safe way. Take the time to watch this if you are looking for some ideas and inspiration! If you have any questions about my trip or want tips for setting up your future journey, feel free to email!